The parents of University of Pennsylvania student Blaze Bernstein, who was allegedly murdered by a former classmate, said they "won’t succumb to hate, bitterness, or disillusionment." "We will use wisely the time we have left together," Jeanne and Gideon Bernstein said today in a statement. Blaze Bernstein, 19, was at home in Southern California for winter break when he went missing on Jan. 2. After an extensive search, his body was found on Jan. 9 in the brush surrounding Borrego Park in Foothill Ranch, the Orange County Sheriff's Department said. 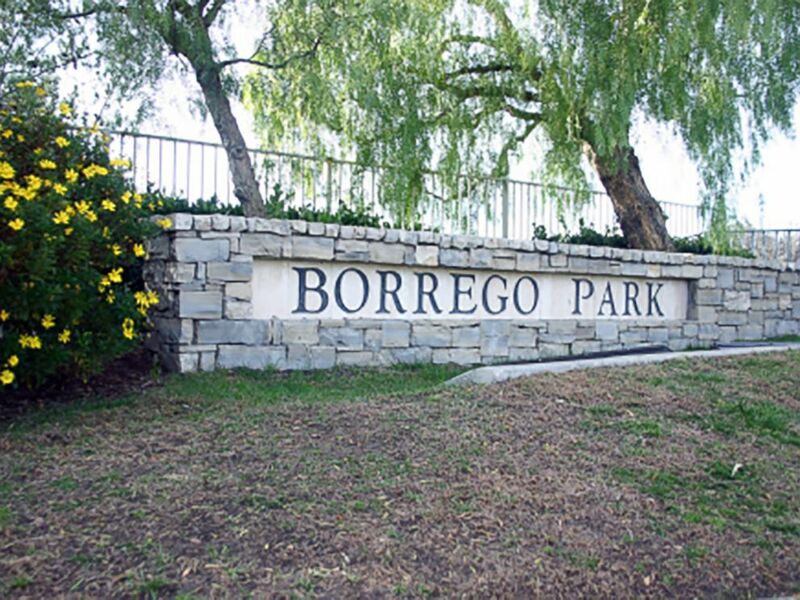 Borrego Park, California is where Blaze Bernstein was last seen, Jan. 2, 2018. His high school classmate Samuel Woodward was arrested on Jan. 12 on suspicion of homicide. He is accused of killing Bernstein and burying his body in a shallow grave in the park. The family released a new statement late Monday after The Orange County Register published new details of Bernstein's death from an affidavit the newspaper saw before it was sealed. Jeanne and Gideon Bernstein criticized timing of the release on the day Blaze was buried. "We are saddened to hear, on the day we laid our son to rest, that gruesome details of the cause of his death were published," Jeanne and Gideon Bernstein said in the statement. "Our son was a beautiful gentle soul who we loved more than anything. We were proud of everything he did and who he was. He had nothing to hide." 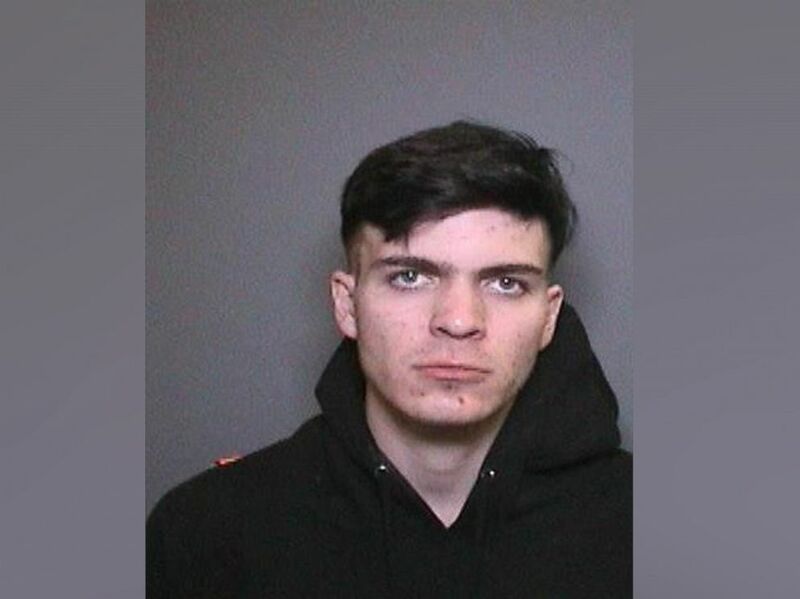 Samuel Woodward, 20, of Newport Beach is suspected of killing 19-year-old Blaze Bernstein. "We are heartbroken," the Bernsteins said in the statement. "When we stop crying we will start doing positive things to affect change. We ask that everyone work towards something good. Stop being complacent. Do something now." Gideon and Jeanne Bernstein, parents of missing teen Blaze Bernstein, are joined by Orange County Sheriff's Lt. Brad Valentine, right, during a news conference in Lake Forest, Calif. on Jan. 10, 2018. They continued, "In the months to come, as part of our healing process, we too will act to heal the World. That is what Blaze would want. We still believe that people are good. We have seen this first hand in the tremendous amount of support we received from people everywhere." The memorial service for Blaze Bernstein was held Monday at a synagogue in Irvine. 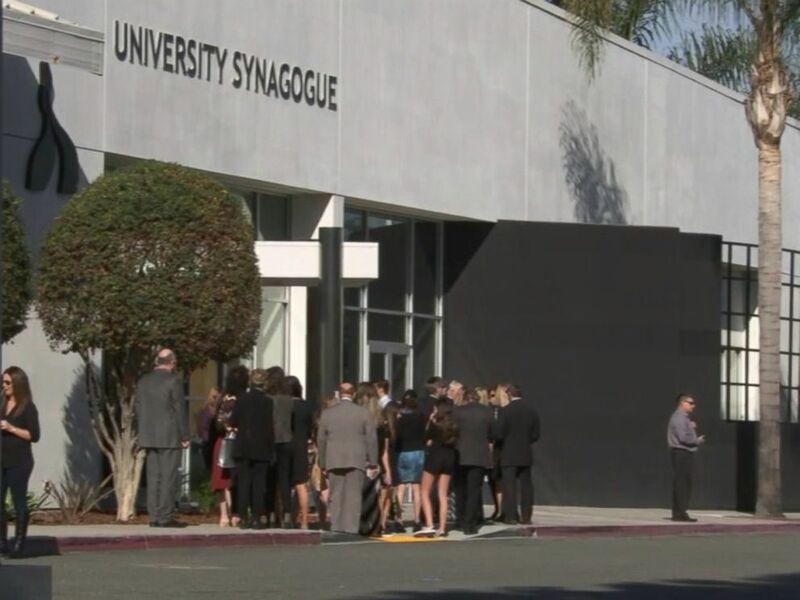 A memorial service for slain University of Pennsylvania student Blaze Bernstein was held at a synagogue in Irvine, Jan. 15, 2018. 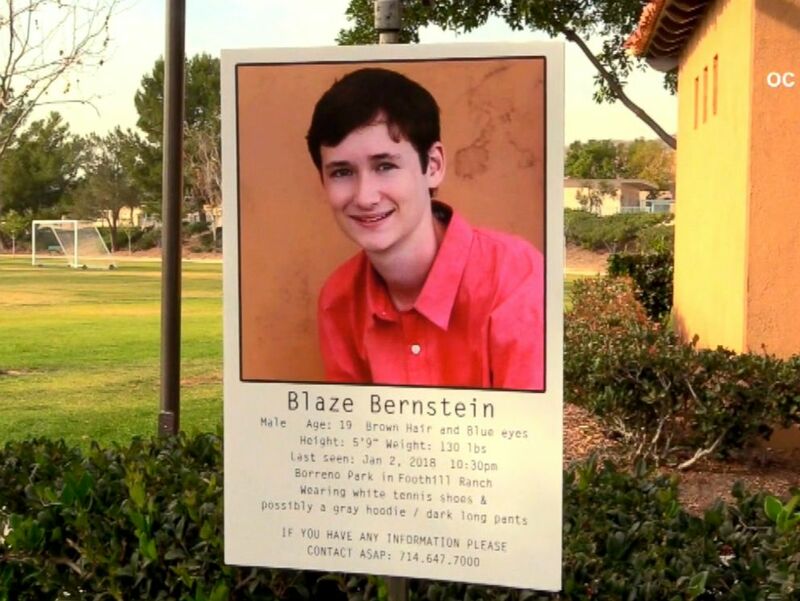 "As we lay Blaze to rest, we ask that communities around the world that were touched by Blaze's life, help us keep his memory and loving spirit alive," the Bernsteins said. "Blaze was on a path to repair our world and it is a moral imperative that we all take steps now to make sure that his dream is realized." 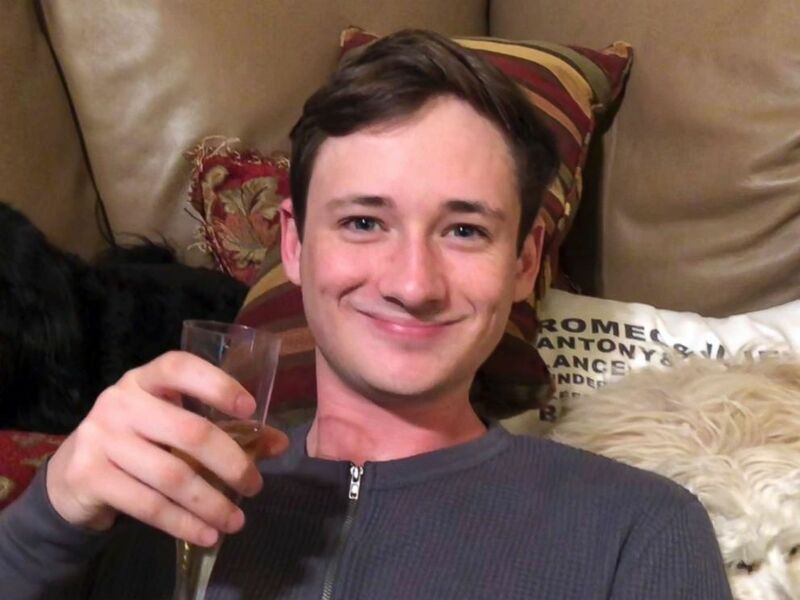 This undated photo provided by the Orange County Sheriff's Department shows Blaze Bernstein, 19, as they seek the public's help in finding him. Bernstein family spokesman David Thalberg told ABC station KABC-TV in Los Angeles today, "It's a parent's worst nightmare." "They're feeling like any parent would when you lose a child," he said. He added: "The support of our community has been wonderful. We can make good out of this tragedy, and that's what we want to do." Dr. Valarie Swain-Cade McCoullum, vice provost for university life at Penn, said in a statement last week that Blaze Bernstein "loved the written word." He was the incoming managing editor of the student-run food magazine, wrote opinion columns for the student newspaper, The Daily Pennsylvanian, and was also a copy associate for the paper's arts and culture magazine, she said. "I realize these losses have the potential to affect many, many members of our Penn family," she said. "Hug your friends and roommates. Practice self-care and empathy. Celebrate who and what you have on this special campus. Find unity and strength, together." The night Blaze Bernstein went missing, he allegedly met up with Woodward, 20, and the pair drove to multiple places before ending up at the park, the sheriff's office said. 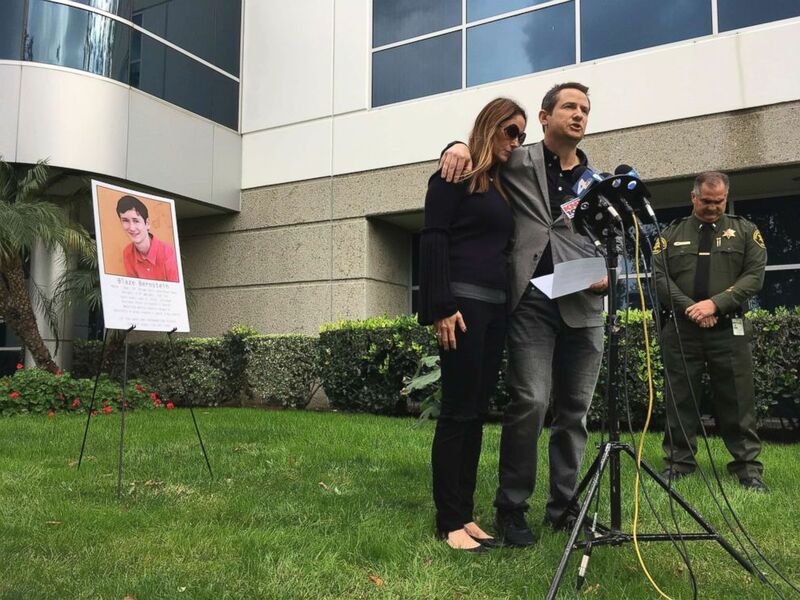 Blaze Bernstein, a pre-med student at the University of Pennsylvania, failed to return to his parents' home in Foothill Ranch after going to nearby Borrego Park with a friend, said Carrie Braun, a spokeswoman for the Sheriff's Department. The following account is from a search warrant affidavit that was obtained by The Orange County Register and later sealed. According to sheriff's office spokeswoman Carrie Braun, the friend referred to in the document is Woodward. According to the affidavit, upon arriving at the park, Woodward allegedly told investigators that Bernstein left the car and walked off. In the affidavit, the friend said he waited for an hour for Bernstein to return to the car and then tried to reach him on Snapchat. When that failed, the friend said he went to his girlfriend's house and then returned to the park a few hours later to look for Bernstein. Police said, according to the affidavit, Woodward couldn’t remember his girlfriend's last name or where she lived during questioning. Investigators also noticed several scratches and abrasions on his hands, which he claimed were from a "fight club." He also appeared to have dirt under his fingernails. When asked about that, Woodward said he fell into a dirt puddle. Investigators also noticed he appeared to "breathing heavy, talking fast and visibly shaking." Orange County Undersheriff Don Barnes said based on inconsistencies during Woodward's interview, authorities focused on him as a suspect and eventually arrested him. He has not yet been officially charged but is in custody, Braun told ABC News.